Social Media keeps everyone up to date. Our Instagram and Facebook Pages have the latest news first. Be sure to follow us. Click the link to read about the upcoming conference in June. Developing the complete female tennis player. 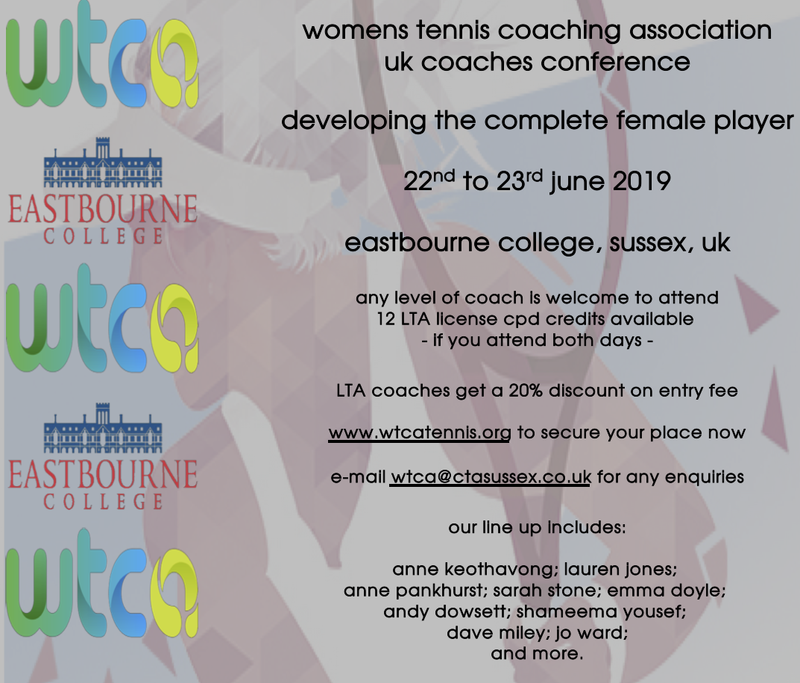 Eastbourne College 22nd and 23rd June 2019.